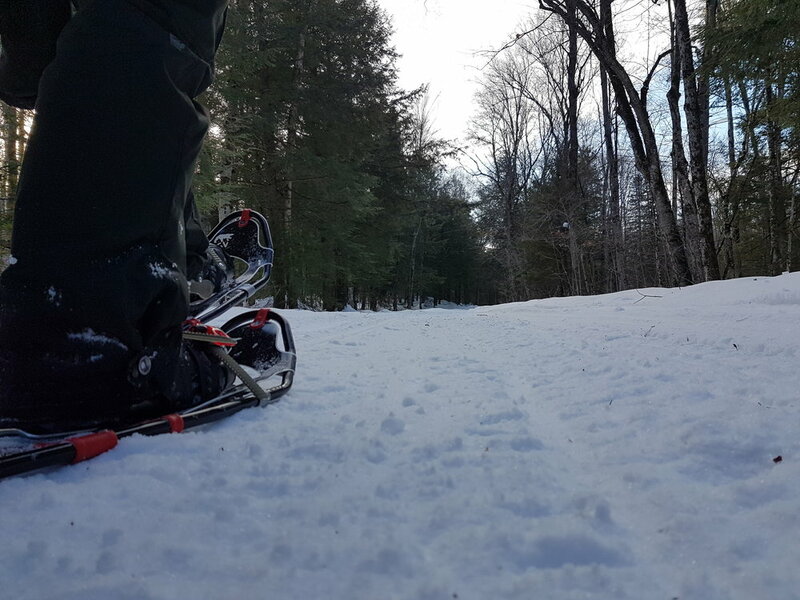 With the winter in full effect, we were itching to get out and test out our new GV snowshoes. It has been a long time since either Alex, Andrew or myself have gotten out and since Alex and Andrew have never been to the Queen Elizabeth Wildlands, I thought it may be the perfect introduction. The plan was to drive to the Victoria Falls and hike along the Ganaraska trail for the morning. The Victoria falls is a summer access point for canoeing the Black River and also a well known trail head for the Ganaraska trail. Never being to this area of the QEIIW either, I was keen to check it out. The Victoria Falls access point is off Black River road, a small dirt road that winds its way through the woods. A little foresight in planning this day trip would have been…dirt roads in a non-operating park are probably not plowed. That’s right, after a couple minutes being on the road, it became quite obvious we weren't going much farther. 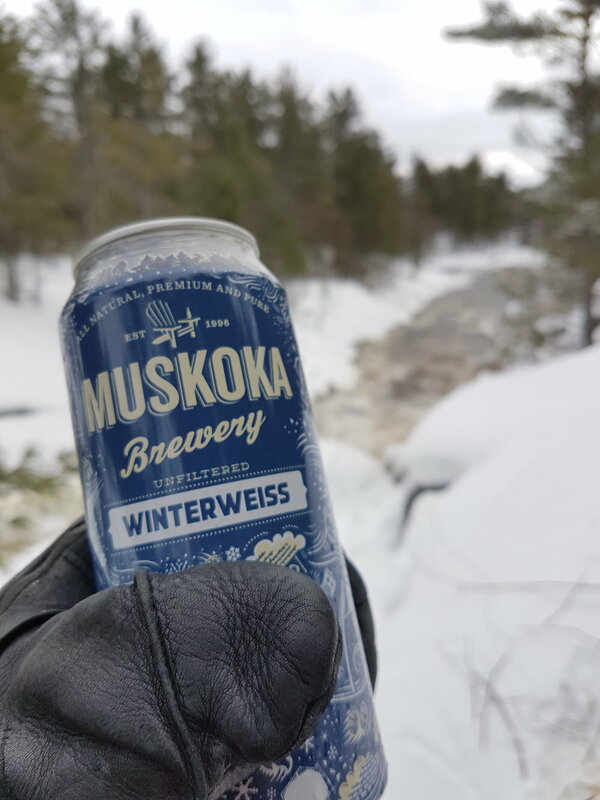 This caused a little kink in our plans but being flexible, and just being happy to be out in the woods, we decided to walk towards the falls and make it our turnaround point. We parked off the closest intersection and headed up the road. A key note to keep in mind is at the end of the plowed section there’s a hidden narrow. Make sure not to park or block this, as its someones driveway. Walking along the road, we followed a well beaten snowmobile path. The road, as the name suggests, hugs the bank of the Black River. The Black River is a gorgeous meandering river that threads its way through the lowlands. The sections that we saw included slow moving water that pushed its ways through broken up beaver dams and sagging trees. Areas up river included faster moving water and rapids as we approached the falls. Along the way the road eventually moved off the river and brought us through a variety of soft and hardwood stands as well as meadow sections and rocky outcrops. As we approached the final kilometres we started to hear the sound of rushing water which was a nice reminder of our final destination. After 13 kilometres we finally arrived. When we got there we were pretty exhausted but as soon as we saw the rushing water with a snow covered backdrop we were instantly rejuvenated and happy we pushed through to the end. We celebrated the accomplishment with cold beer and granola bars as we sat and took in the view. After an hour we decided it was time to start the trek back if we were to make it before dark.